The Best Hi-End Pigment-dyed Enzyme-washed Black Canvas Messenger Bag available, with raw edges, antiqued brass hardware, magnetic snaps, exterior and interior zippered pockets and storage side pockets. LOTS of space! 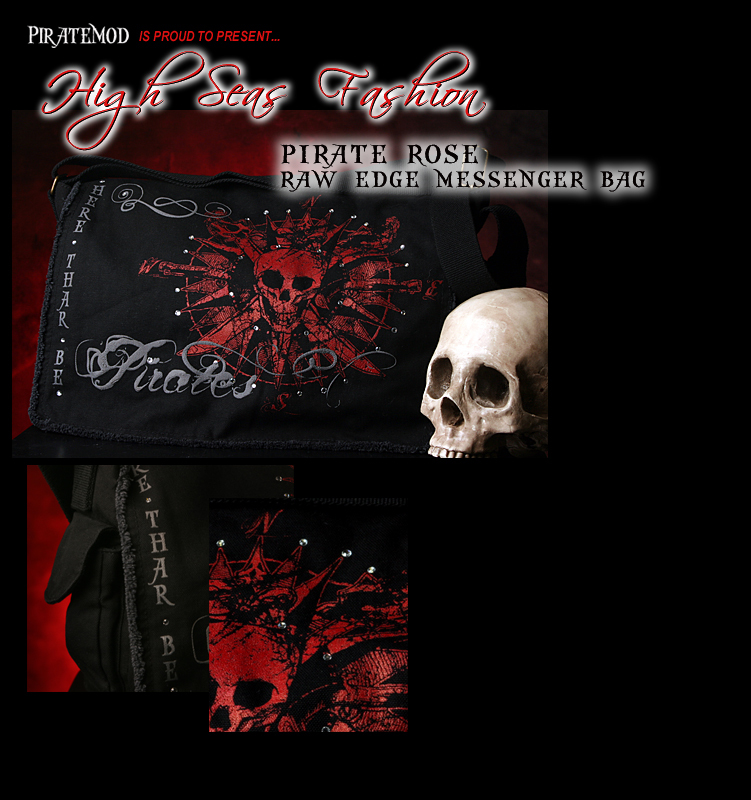 Printed with our Blood Red Pirate Compass Rose and Raised Smoke Gray "Here Thar Be Pirates" & nautical swirls. Add to this Real hand-applied Czech Crystals!